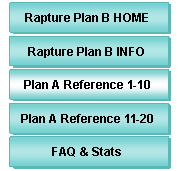 Rapture Plan B app can run an internet scan to search for prophetically important topics found in the current news headlines. 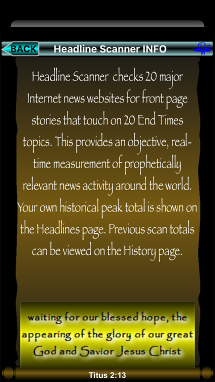 'Headline Scanner' checks 20 major internet news websites for front page stories that touch on 20 key End Times topics. 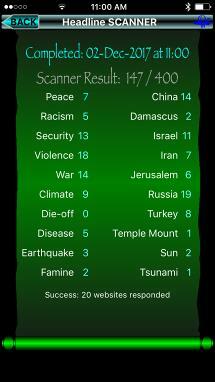 This provides an objective, real-time measurement of prophetically relevant news activity around the world. 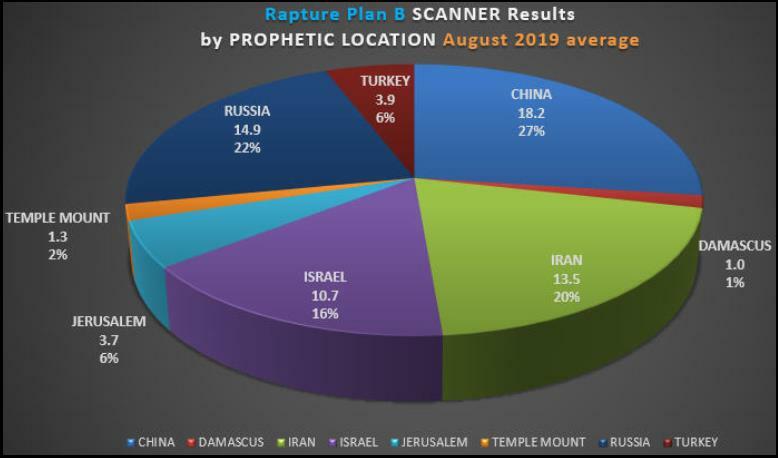 There are numerous End Times indicators prophesied in the Bible. The 20 indicators that are used by the Headline Scanner are among the ones that are most objective, searchable and quantifiable. Just as it was in the days of Noah, so also will it be in the days of the Son of Man. And when you hear of wars and rumors of wars, do not be alarmed. This must take place, but the end is not yet. For nation will rise against nation, and kingdom against kingdom. 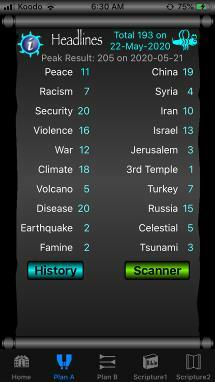 There will be earthquakes in various places; there will be famines. These are but the beginning of the birth pains. There will be great earthquakes, and in various places famines and pestilences. And there will be terrors and great signs from heaven.